Haven’t picked out a theme for December just yet, but ran across this story and decided to paint Olga of Kiev, also known as Saint Olga. Reading about her life makes me wonder how she acquired the Sainthood. But who am I to judge? Her birth year is questionable- some say 879, others say 890. Her place of birth is also debatable, but the location that seems to be the most popular is somewhere near Pskov, Russia. With Igor’s death, Olga became Regent to their son until he was old enough to rule on his own. The Drevlyans were not happy with a woman ruling the empire and insisted she marry their top choice for the thrown- Prince Mal. The ambassadors that came to negotiate the marriage did not receive a warm welcome. In fact, they were uh… buried alive. Olga demanded they send better options for a husband. More ambassadors came, and they met the same horrific fate- she locked them in a bathhouse, which was then lit on fire. THEN, as if that isn’t enough of a revenge, she is credited for killing 5000 men at a feast that was being held in her honor (all of which were Drevlyans). While historians believe that this number is quite exaggerated, there is some truth to the tale- evidence suggests that “a lot” of people were killed at a feast. Olga seized a Drevlyan city that would not pay their taxes (tributes). They offered her various goods and products as an apology, but the lovely Lady of Kiev asked, instead, that each household give her three sparrows and three pigeons. She gave these birds to her soldiers who were instructed to tie a thread to each pigeon and a piece of cloth-wrapped sulfur to each sparrow. As night fell, the soldiers released the birds, who went back to their comfy nests in the eaves of the homes of the poor Drevlyans. Everything ignited and the entire city burnt to the ground, mainly because everything lit up at once. Believe it or not, the US Military once considered this strategy to use against Japan during WWII (but with bats). Barbaric. Bet you are wondering how this woman became a Saint? Well, at some point during her reign, she converted to Christianity. When her son was officially on the throne, Olga launched a campaign to make Christianity the official religion of their country, despite the fact that Svyatsolav (also known as Svlatoslav the Brave, Grand Prince of Kiev) was a pagan. She was declared a Saint in 1547 for her attempts to create a Christian Nation. BUT, not just an ordinary Saint… she was declared as an “equal to the apostles”. If you watch that video, check out the one on Ghengis Kahn by the same people. It’s a series called “History’s Biggest” and it’s hilarious. This is Rosamund Clifford (1150? – 1176). She was the mistress of King Henry II of England. She grew up in Clifford Castle on the River Wye and had 2 sisters, Amice and Lucy, and 3 brothers, Walter II de Clifford, Richard and Gilbert. There are many interesting stories that surround Rosamund’s life, but the most common is that King Henry took her in as his mistress- but in order to hide the affair from his wife, Eleanor of Aquitaine, he kept Rosamund in a room at the end of a very complicated maze in Woodstock. Eventually Eleanor got through the maze and confronted the young mistress- forcing her to choose between death by dagger or death by poison. The young girl chose poison and died. However, this story does not appear in any documents until the 14th century. Hmmm. Not in question… her beauty. She was known to be devastatingly gorgeous which most likely fueled the romantic, but fictitious, tales of her existence. Te Ata Fisher, also known as Mary Frances Thompson (1895-1995) was a citizen of the Chickasaw Nation, and performed as a representative of Native Americans throughout the United States, including a state dinner for President Franklin D. Roosevelt in 1939. 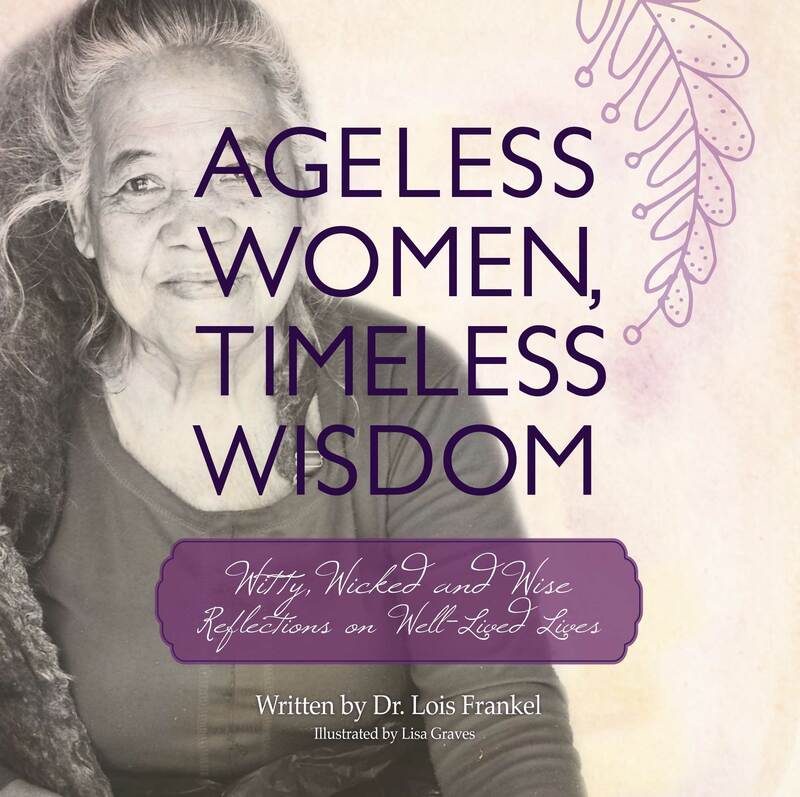 She made her debut as a storyteller/performer when she was a senior in the Oklahoma College for Women- telling stories and singing songs from various Native American tribes. Soon after graduating, she toured the country sharing her culture. She continued her studies at the Carnegie Institute in Pittsburgh and then eventually moved to New York City where she performed in several Broadway productions. Her career spanned over 60 years. I am very proud to share this incredibly special book with all of you. This was a true labor of love by the author, and myself. Nanyehi (translates to “one who goes about”), also known as Nancy Ward (1738- 1822) was a “Beloved Woman” or “Ghigau” of the Cherokee tribe. With this title, she was allowed to sit on councils and make decisions for her people. She wanted a peaceful coexistence with the European Americans and functioned as an ambassador between her tribe and the new settlers. She married Tsu-la” or “Kingfisher” who was a member of the Deer Clan. 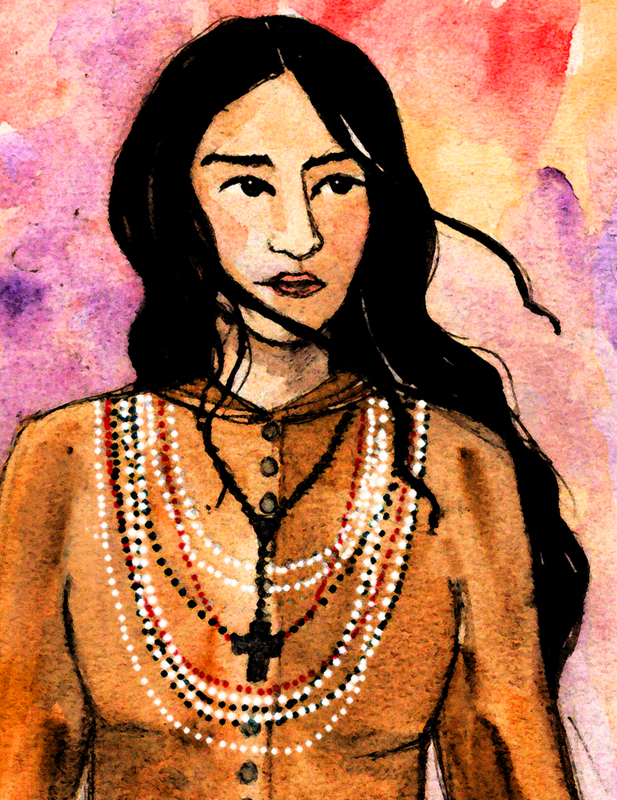 In the Battle of Taliwa (a land dispute between the Cherokee and Muscogee) Nanyehi chewed bullets for her husband so the jagged edges would cause maximum damage- when Tsu-la was killed, she picked up his rifle and kept fighting. The Cherokee people won the battle. She is remembered as an important figure to the Cherokee people but is also considered an early pioneer for women in American politics. 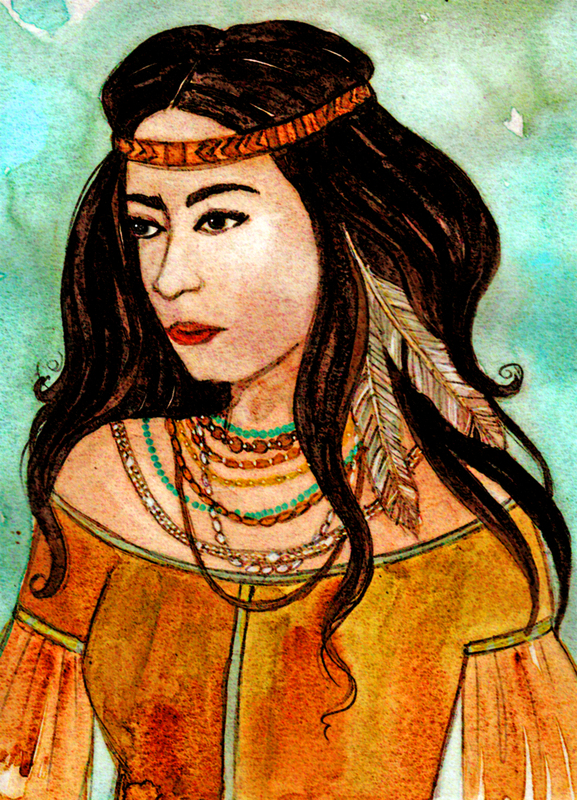 Featuring Native American women this month! Several HW Facebook followers made the suggestion- so thank you! This is Dahteste (1860 – 1955). She was a Choconen Apache warrior. Despite her warrior status, she was remarkably beautiful. As an expert horsewoman, she joined forces with Geronimo. After being part of several battles against the US Cavalry, she worked to negotiate peace. She was fluent in English which enabled her to become a messenger and translator for her people. Unfortunately, her efforts to work with the US Cavalry did not work in her favor. Dahteste was arrested, along with Geronimo and several others (including her friend and fellow female warrior, Lozen) in 1886 as a prisoner of war at Fort Sill, Oklahoma. She spent 19 years in prison – surviving pneumonia and tuberculosis. When she was finally released, Dahteste spent the rest of her days at Whitetail, on the Mescalero Apache Reservation in New Mexico.